On Wednesday, the fellows traveled to previously implemented CWS villages to practice household monitoring with their translators. It was the first time fellows entered the homes of the people and had one on one interactions. The visit also enabled them to see the successes of CWS; most of the households possessed clean water in their safe storage container and explained how happy they were to have clean water! 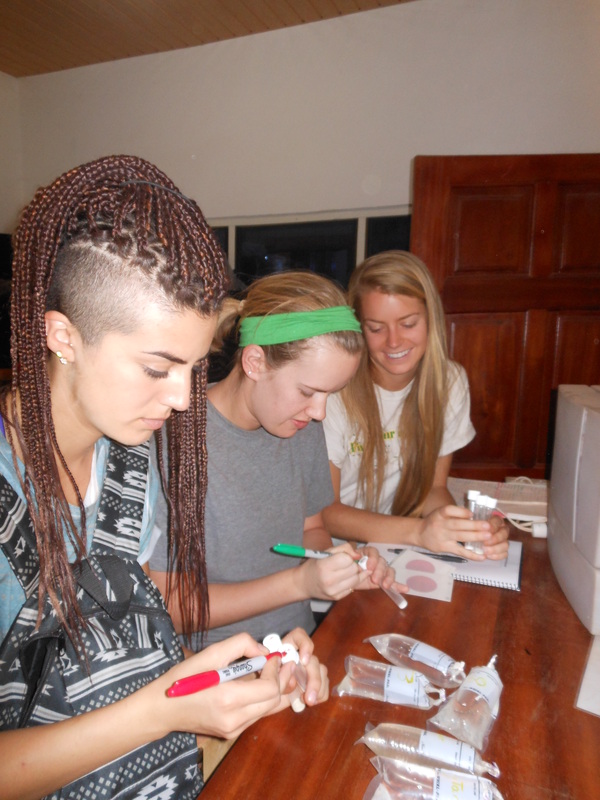 Emily, Sarah, Priya, and Lauren, from Team C, preparing their samples. In the afternoon, the fellows practiced their chief meetings with their translators. This meeting is the most important step in the CWS implementation process, because in many villages this is meeting will be the first time that they have heard of our organization! We make sure teams have plenty of time to review the CWS pitch before this meeting and practice working through a translator. The fellows also completed lab rotations to learn to use our lab equipment. Our water testing lab allows us to measure the bacteria in the water, both from individual households and the village water source. 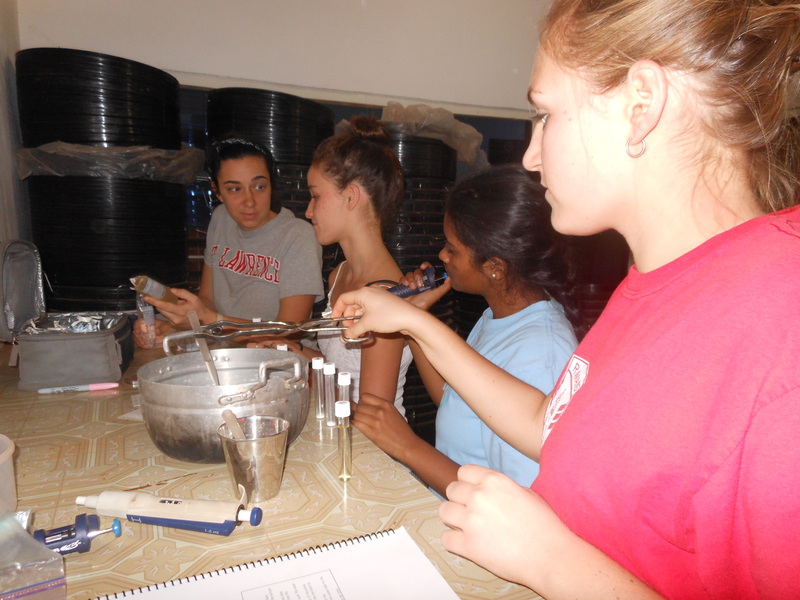 The fellows practiced working in the lab by tested the water they collected during household monitoring. Today, the fellows all visited their villages for the first time! All of them had success when speaking with the chief and the elders. Some will return tomorrow for an official chief meeting, while others will return for a community meeting! The fellows are super psyched to get working in the field and bring clean drinking water to 7 new villages in Ghana!